We gathered some of the common questions we are being asked by our customers. We do all that we can to update the questions on a regular base, so you will find the answer that you are looking for ASAP. If you have a question which you couldn’t find the answer to it in this page, you can always contact us, and one of our garage specialists will be happy to assist you. This section is about our company, opening hours, service area and more. Locate the question you want to be answer, click on the + sign, and the answer will open bellow the question. We service Fairfax and the area for same day garage doors and roll up doors repairs. To us it doesn’t matter if you need a garage door opener repair, or a commercial garage door repair. With our sane day garage repair in Fairfax, one of our technicians will be there today. Do you really offer same day service? Yes we do. We are aware to the fact that sometime you may need your garage door in Fairfax to be fixed ASAP, since your car may be locked inside, or since you need to access the garage from all kinds of reasons. That is why we offer same day local garage door services in Fairfax VA and near the area. We are ready for serve you every day from 8:00 AM – 8:00 PM. But since the garage doors have no certain time to stop working and get stuck, we offer 24/7 Emergency garage door repairs in Fairfax. So we can say that we are available any time and any day. We accept all major credit cards and checks. For commercial customers we have a contract for service that need to be completed. If you need commercial garage door service, please contact us for assistance. What kind of services your company offer? Three States Garage Doors specialize in over head garage doors repair, maintenance and installation service, commercial and residential. We also offer rolling gates repair service in Fairfax, commercial and residential. Where can I read reviews about your company? We are glad you asked, since we take pride of our customer’s reviews, and we would like to share them with you. Please Visit Three States Garage Doors Yelp Page, and find what our customers have to say about us. Do you also supply and install garage doors? We provide all types of garage services in Fairfax, and as we love to say: If you need garage door service, we can help. We supply, install and repair garage doors from leading brands such as Clopay doors, Amarr garage doors, Wayne Dalton and more. We are in the garage business for more than 20 years. We used to work as sub-contractors for other companies, and in 2007 we started Three States Garage Doors. Our company is insured as require by the law, and we are authorized to service commercial and residential garage doors. Here you will find answers to question we are answering almost every day during servicing and repairing garages in Fairfax. Before we start, we would like to warn you that a broken garage door can be dangerous, whether it is a garage in Fairfax, or a rolling gate in NYC, and we recommend to use the services of a trained tech for the repair. We offer same day garage door services in Fairfax so there is no reason for you to take a risk and try to open, close or fix the door by yourself. 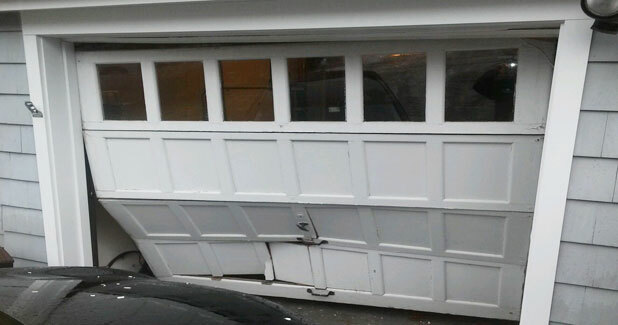 There are many possible reason for a garage door IN Fairfax that don’t go up. It may be because the spring snapped, the opener is broken, the pulleys, the rollers, out of track, or even if the lock is closing the garage. There is no way to answer this question without more information, and sometime only visiting your place and inspecting the door can tell us what the problem is. Why my garage is not closing? Same as with the answer above, there are many reasons why a garage door is not closing, from a problem with the mechanism through safety sensors issues to an opener problem. Sometime we need more information, or we must visit your place before we will be able to determine what the problem is, and how to repair it. I think the spring snapped, what should I do? Before we will tell you what to do, we first would like to let you know that the spring system is what make it so easy to open even the heaviest garages, and what make the door go down smoothly and not crushing into the ground. And when the spring snap, the door is losing its balance, and become “heavier” since there is nothing to assist it on its way up. The best thing you can do when the spring snap is to stop trying to use the door, and contact a garage door company in Fairfax to fix the broken spring or replace it. This goes for all types of garages. When the garage door spring snap, you should stop using the garage since it will both be dangerous, and can create a bigger problem. To read more about broken spring troubleshooting, visit oUr garage door repairs in Fairfax page if you would like to learn more about garage door troubleshooting. Why the opener is not moving the door? We know that it may seem like the opener itself is not moving the door, and it probably look like there is something wrong with the opener, but you will be surprised to know that what may seem like an opener problem, often turn to be a problem with the garage door itself. Remember that what lift and lowering the garage is the spring system and the garage mechanism and not the opener. The opener only push and pull the door (With the assistance of the spring system), and if the spring snap for example, the opener need to do the part of the lifting that the spring system should do, and that is only a matter of time before you will burn the opener. Click here if you want to read more about garage opener troubleshooting. Do I need to maintain my garage? Yes. Even if it is a new door, or if you barely use it, lubricating the garage door will ensure that the door will continue to work and that its parts will stay strong. 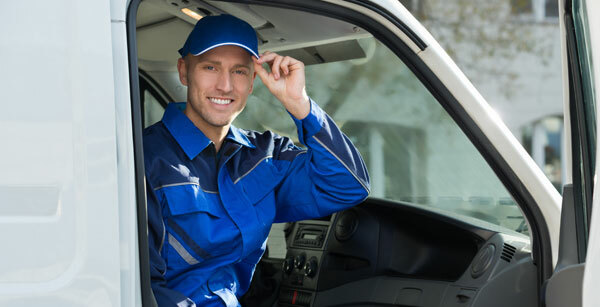 Especially in Fairfax, where the weather is not so friendly to garage and its parts, it is important to lubricate the moving parts and to adjust the opener and the spring system. To learn more about garage door maintenance, you can click here, or click here to watch a Video. Should I fix the garage, or should I replace the door? There are many parameters to include when trying to answer the question whether to repair or replace the garage door? And we will do whatever you will decide once we give you all the information. But there is one thing that we will never do, no matter what! We will never fix a garage which is not safe for use. There are cases where the door can be repaired, but in a way that will put you and your family at risk, and that is something that we will never do. What is the price of repairing and what is the price of a new garage door? What is the general condition of the garage? Where is the garage door located, front or back of the house? Is repairing the door will make it safe for use? Is it an insulated garage door? How long the repair will last before the door will need another repair? Usually we will have to come to your place and check the condition of the garage in order to decide what will be the best thing to do. To read more, you can visit this article that explain how to choose a garage door in Fairfax? Should I try and repair the garage by myself? There are repairs that you can do by yourself, like safety sensor repair, lubrications, and maintenance, and there are some repairs that we do not recommend to do by yourself, and it will best to use the services of a garage door repairman who has the parts and the tools to fix your garage the right way. Garage door safety sensors troubleshoot. What should I know about my garage? The first and more important thing you need to know about your garage door is that it can be dangerous. You may be using it with a silent belt drive Lift master opener, or you can use it manually, but don’t ever forget that the door can weigh hundreds of pounds, and that all that hold it is the rollers which connected to the tracks. So when something went wrong, or if you discovered a problem, do not think or assume it will disappear by itself, and pushing a garage door that went out of its tracks back into the tracks will not solve the problem, since there is a reason why the garage went out of the tracks. Contact a local garage door repairman in Fairfax VA to come and assist you, or read articles about garage door repairs if you would like to fix the door by DIY.